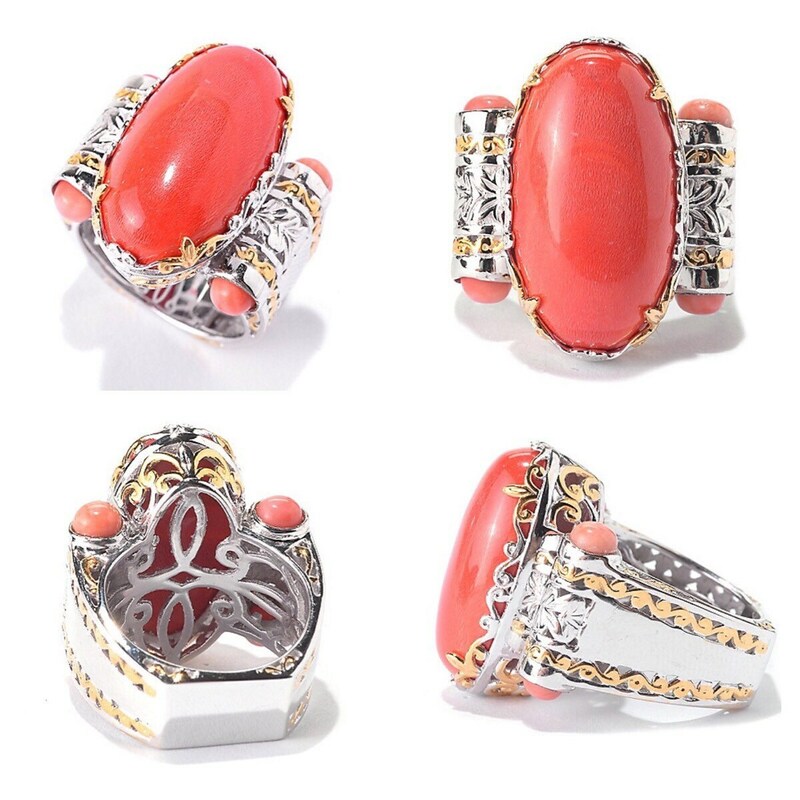 Breathtaking Coral ! 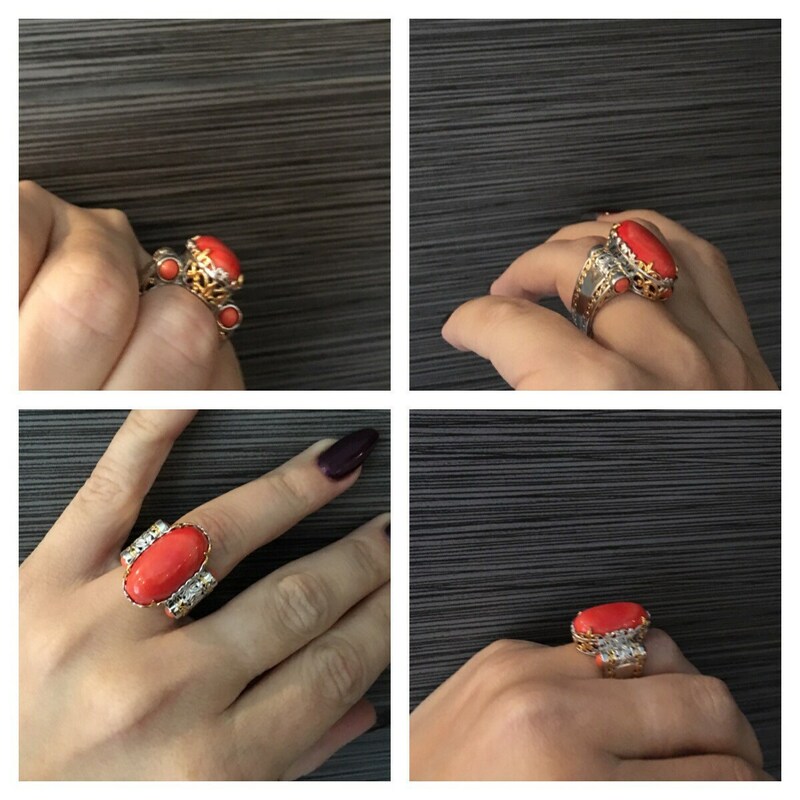 22 x 12mm Oval Salmon Bamboo Coral Scrollwork Two-tone Sterling Palladium Ring. 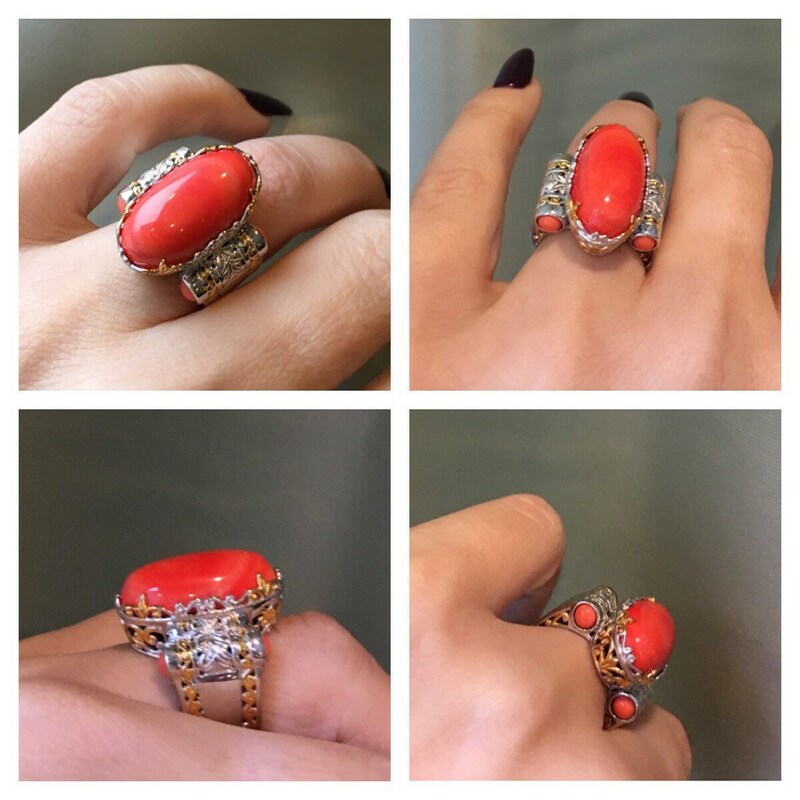 Detail at its finest! 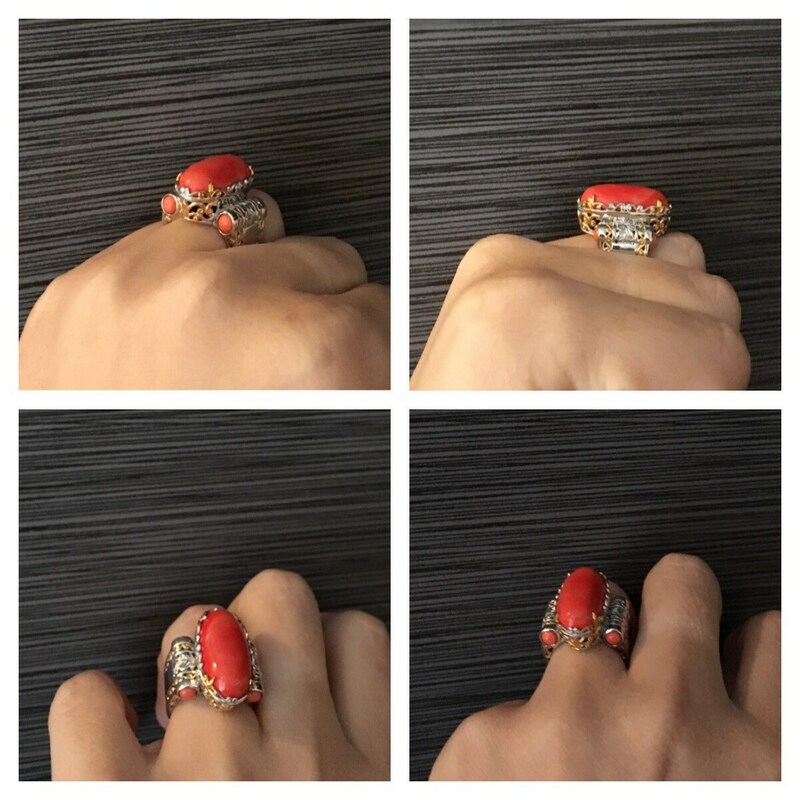 This ring features a large oval salmon bamboo coral on top surrounded by breathtaking two-toned scrollwork cut-outs. 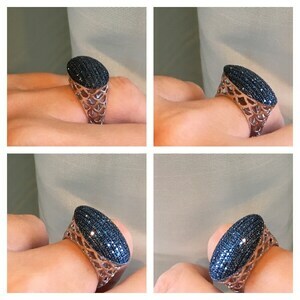 To the East and West are cylinder shapes of scrollwork with additional round salmon bamboo corals at each end. 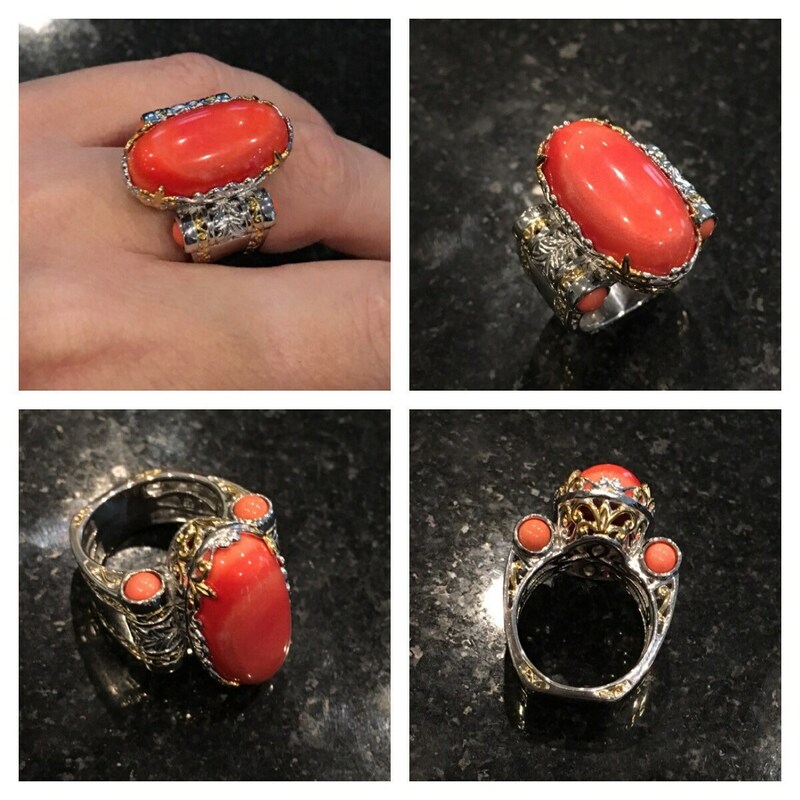 The polished Euro-shank narrows towards the bottom with an undergallery featuring detailed cut-outs for added comfort. Bold and Purple! 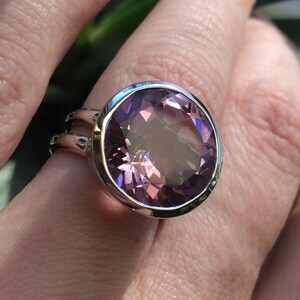 15mm Sterling Silver 9.00ctw Round Amethyst Split Shank Ring. 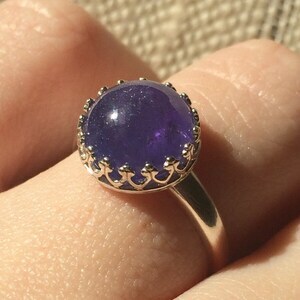 5 ct 12mm Rare cabochon Cut Natural Tanzanite Crown Scrollwork Ring. 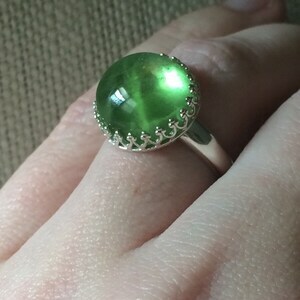 13.5 ct Rare cabochon Cut Green Huge Natural Peridot Crown Scrollwork Ring.